Adults and children can have fun doing spin art. 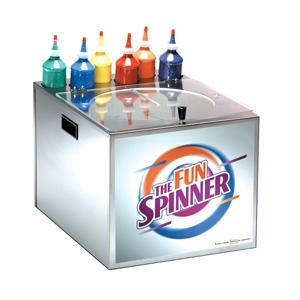 Simply add by drops, your favorite bright colors of paint onto the spinning pedestal to create beautiful designs. Requires a Table and one outlet.